Irene’s retreats are renowned by international writers, not only for her innovative techniques that show you how to focus, develop, create and write your stories…but for weaving inspiration and creativity into your writing journey through walking sacred sites, exploring myth and legends, and engaging in music and meaningful discussion. Gourmet food, luxurious private room and a memorable journey is assured. If you want to write a publishable novel this is the workshop to find out how. You will return home invigorated, with a deep understanding and knowledge of story, motivated to complete your book. Our Sept Fiction Retreat runs back to back with our Memoir Retreat, so you have the option to attend both. Using right-brain/left brain learning techniques our aim is to trigger and deepen imaginative concepts, tap into life experiences, strengthen writing voice, shape characters, form setting, frame theme, create structure – and develop your story so that it’s ready to hop off the page! You will be encouraged to explore story in a genre of your choice, be it Literary Fiction, Science Fiction/Fantasy, Crime, Romance, Children’s, Popular Fiction, Dystopian…or to discover and find your genre as you progress through the workshop. You receive personal feedback on your story throughout the workshop. 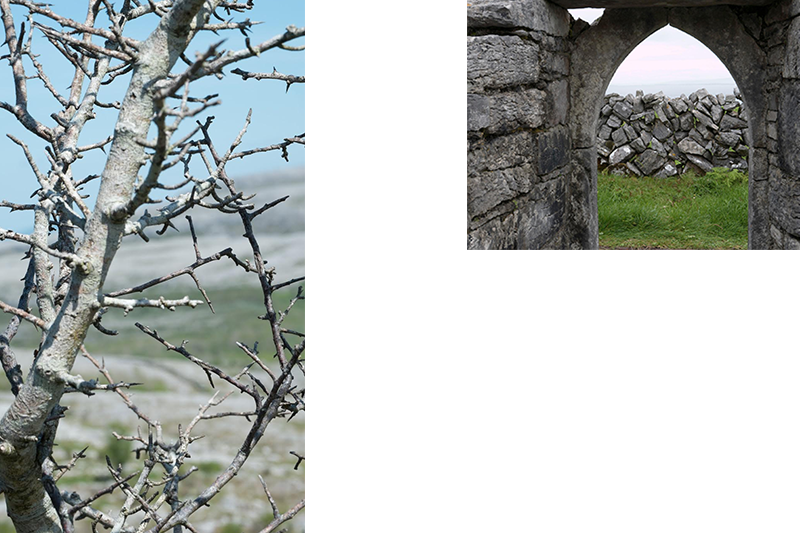 Start your Fiction & Autobiographical Fiction journey on Inis Mór Island, walk sacred sites, learn of myth and legends. Create, develop and write your novel. Journey onto Doolin in Co. Clare to explore The Burren – a geological wonder with unique botanical richness. Complete your day by engaging with Irish musicians in old Irish pubs. Special Tour of the island – remote spots! Your writing journey is flexible. You have the choice of attending this Fiction Writing Retreat and also attending our Memoir Writing Retreat, starting on Fri 6 Sept 2019, doing both Retreats back to back. Start your Fiction Writing journey on Sun 1 Sept on Inis Mór Island, walk ancient sites, learn of myth and legends. Focus, develop and write your novel. 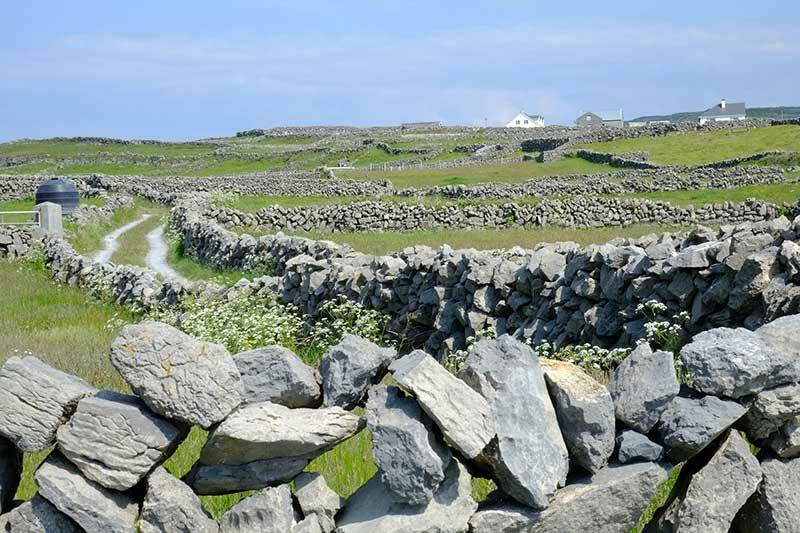 Journey on to Doolin in Co. Clare on Fri 6 Sept to explore The Burren – a geological wonder with unique botanical richness. 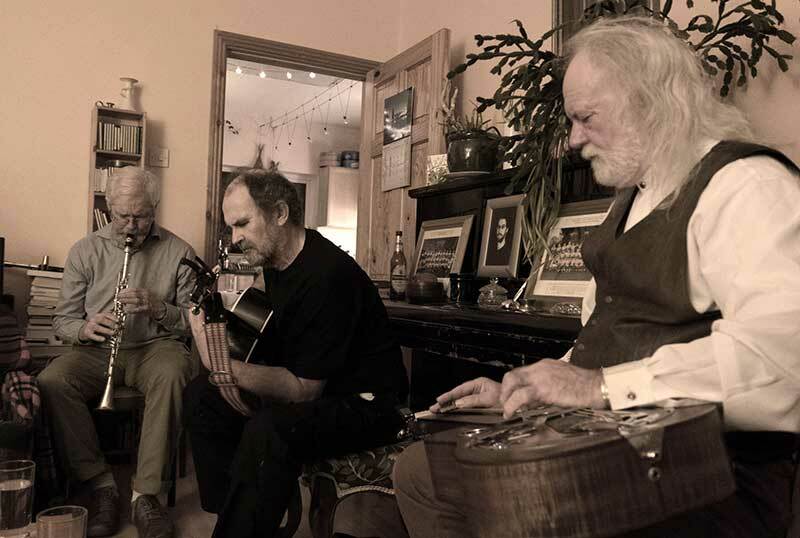 Complete your week by engaging with Irish musicians in a Private Music Evening. Meet, laugh and have fun with the writers from our Memoir Retreat. 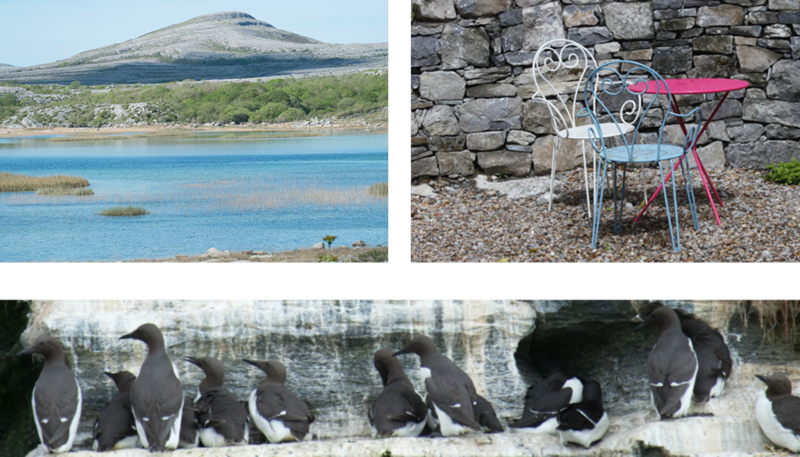 Perhaps you would like to join that retreat and return to Inis Mór to write your Memoir? Or leave the retreat at the end of your Doolin adventure. If you want to polish and complete your novel, dig deeper into the language of story and move your story forwards, then Irene’s Work-in-Progress Workshop is for you. Luxurious private room with writing desk, gourmet food and special individual attention is assured. The workshop is open to advanced and emerging writers. Your Work-in-Progress writing week is set on Ireland’s Wild Atlantic Way in the attractive coastal village of Ballyvaughan, 1.5 hours south of Galway City. 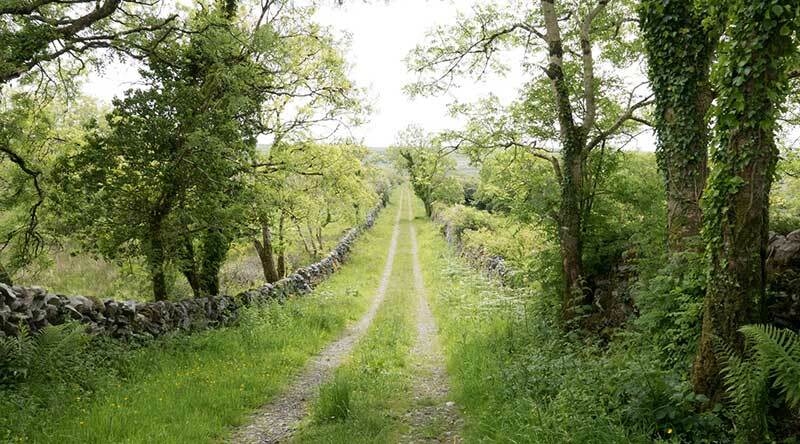 Your private accommodation is situated at the edge of a nature trail in the extraordinary Burren landscape, just great for walks to clear the brain. 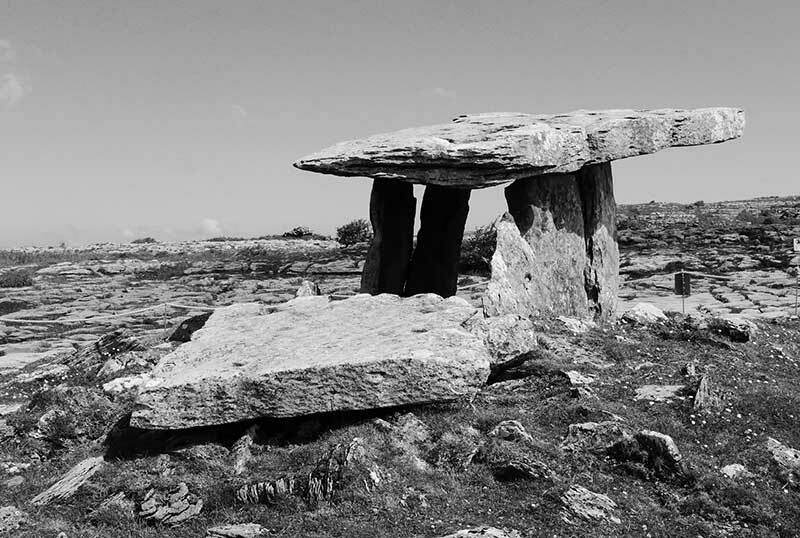 We will also take time out for an exploratory adventure in The Burren to rejuvenate your soul and learn more of mythical Ireland. Your writing week is scheduled so to allow for a mix of deep thought and writing, with time for play and exploration. The Creative Writer's Workshop is not licensed to any individual to 'teach'.